Click on the image above to view images from the bison photo exhibition. The focus of this year’s festival was nature photography. The bison exhibition added a touch of novelty, with its story of the reintroduction of a once near-extinct species with deep historical roots in Romanian culture. Titled “The biggest land mammal in Europe returns to the Southern Carpathian wilderness”, it contained images taken since 2014 by Romanian and international professional photographers. This including imagery commissioned as part of the LIFE Bison project to capture the essence of the project and its developing social and cultural context. The bison exhibition will now continue its journey through rural and urban areas in Romania until 2021, with regularly updated photographic content showcasing project development. Those that missed the chance to see it can view an online snapshot here. 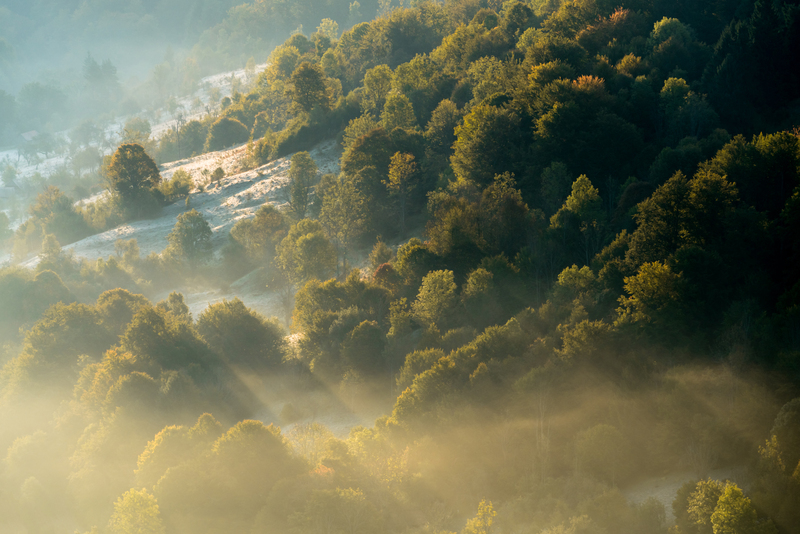 Photo of the Southern Carpathians rewilding area by Daniel Mirlea was featured together with the exhibition “The biggest land mammal in Europe returns to the Southern Carpathian wilderness” at the Bucharest Photo Festival. The bison reintroduction story was given life, not only by the exhibition itself, but also through two lectures given by Daniel Mîrlea – a professional photographer who has collaborated with the LIFE Bison team for the last two years – and Florin Hălăștăuan, a LIFE Bison project officer and bison ranger coordinator. 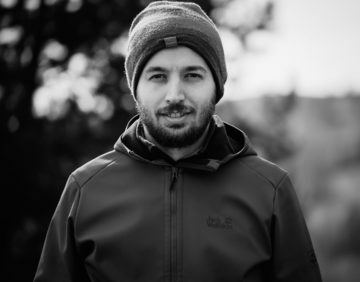 Daniel Mîrlea presented his six-month experience at the Bison Hillock in 2017, working as part of the first WWF annual team supported by the WWF International Internship Programme. Mîrlea acted as the team’s content generator, following other young team members in their mission to map out potential human-bison conflict zones, analyse bison behaviour, and propose ways to mitigate such conflict. He documented his mission through photography and video, which can be viewed on the Southern Carpathians Youtube channel (“Our week in pictures” 2017 series). 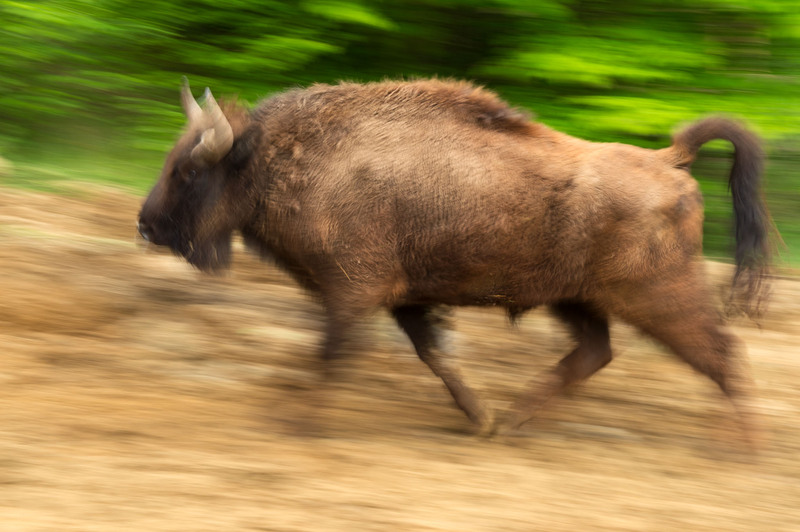 Tracking animals and visiting neighbouring nature and national parks enabled Mîrlea to sharpen his nature photography skills and gain a unique insight into the lives of the bison and functioning of the local ecosystem. Professional photographer Daniel Mîrlea collaborated with the LIFE Bison project team over the last two years. Florin Hălăștăuan gave extra flavour to the talk by presenting the everyday work of the rewilding area’s bison rangers. These are responsible for bison monitoring, maintaining rewilding infrastructure, helping out with bison transportation, and interacting with local communities and visitors. Hălăștăuan presented this less well-known but nevertheless essential side to the bison comeback story, and went on to explain the ecological importance of the European bison and the local development opportunities that reintroduction of the species is generating. View more of Daniel Mîrlea’s photography here.